The jury in the Apple v. Samsung patent infringement case returned to the court on Monday to correct a mistake it made when calculating damages owed to Apple. While the jury awarded damages on a product that was found to infringe, but for which no damages were assigned, the overall damage award was rejiggered to leave a $119.6 million figure intact. 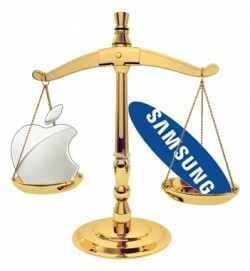 On Friday, the jury found that Samsung infringed on two of Apple's patents and awarded the iPhone maker $119.6 million. Monday's action added damages for the above-mentioned product, but it increased and decreased various damage awards on other products to reach roughly the same figure it had reached on Friday. The jury also found that Apple infringed on a patent that Samsung bought from Hitachi as a defensive move. Damages for that infringement were set at $158,400, a figure that was not changed in Monday's paperwork. The jury's finding of infringement marks the second straight case in California where Samsung was found to have copied Apple's innovations. In a case in 2012, Samsung was ordered to pay more than a billion dollars, a figure later reduced to $930 million when some of those damages were retried. Apple and Samsung have a third case in front of a different judge covering other products and other patents. We are grateful to the jury and the court for their service. Today’s ruling reinforces what courts around the world have already found: That Samsung willfully stole our ideas and copied our products. We are fighting to defend the hard work that goes into beloved products like the iPhone, which our employees devote their lives to designing and delivering for our customers. We agree with the jury’s decision to reject Apple’s grossly exaggerated damages claim. Although we are disappointed by the finding of infringement, we are vindicated that for the second time in the U.S., Apple has been found to infringe Samsung’s patents. It is our long history of innovation and commitment to consumer choice, that has driven us to become the leader in the mobile industry today. Every aspect of the jury's finding is subject to appeal, and both Apple and Samsung are expected to take advantage of the appellate process.